This E3 was light on big shocks. Most of the announcements were better looks at things we already knew were coming based on earlier announcements, or leaks that snowballed into common knowledge. There were a few exceptions though. 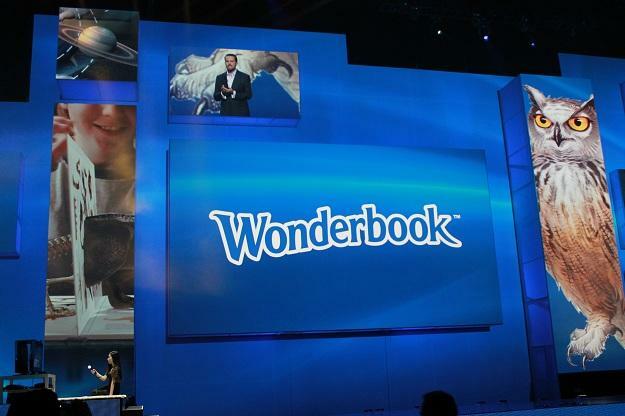 At the Sony press conference, one of the loudest audible exclamations came during the presentation of Wonderbook. The game itself looks interesting enough. You have a book covered in sensors that the PlayStation Eye Camera reads as whatever the particular software tells it to, and with the Move controller, the game uses augmented reality to create a game you become part of. Wonderbook seems like it will be an interesting and fun interactive experience (and a potentially intriguing learning tool), and with different software offerings planned it definitely has potential, but for a smaller, niche audience. 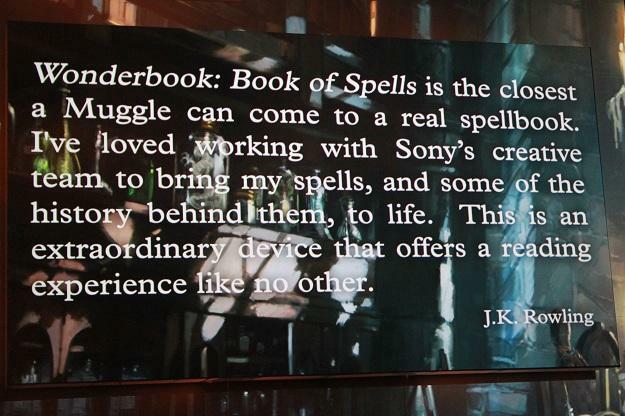 And then Sony dropped the news that J.K. Rowling would be involved and the first offering for Wonderbook would be based on the Harry Potter universe. Jaws dropped. It’s one of the first times that Rowling has worked on Harry Potter outside of the books, and it is certainly something that will bring a lot of attention to the Wonderbook project. At E3, we got the chance to try it out. The book is designed with several markers on each of the pages. 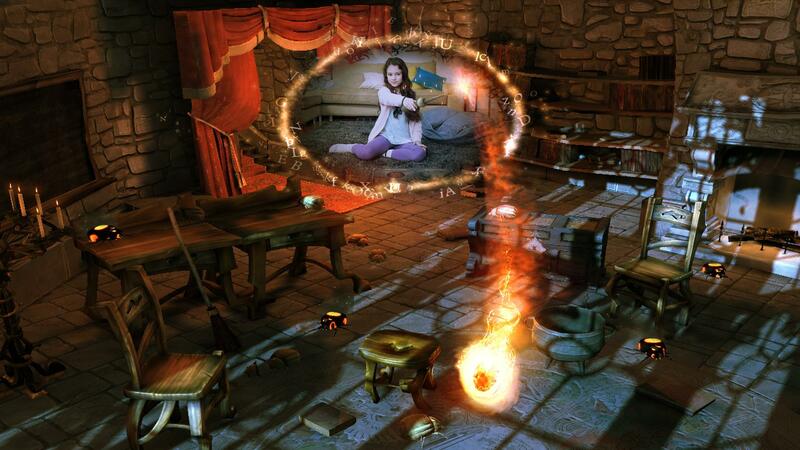 Using augmented reality, you see yourself on camera looking at the book, which on screen appears to be a magical tome straight out of Hogwarts. It needs to remain relatively stationary to keep the image consistent, but it worked well enough for what is still essentially a prototype. On camera, the Move controller becomes a wand, which should make more than a few kids squee with delight. There will, of course, be a contingent of older Harry Potter fans that will no doubt try to look tough while holding their magical weapon. Pro tip: It won’t work. Ever. The book will feature several options for you to choose, and they will teach you how to cast spells the Hogwarts way. Each spell will require a different movement to cast, and those movements will become progressively more complex as the game progresses, but none are so difficult as to be truly frustrating. They will typically just be a short series of fluid movements, forming things like a figure four or an up and down stroke. Each movement will activate a different magic that you can then use with a flick of the Move. The lessons are broken into chapters, and after learning the necessary magic spells you will then be taken to the chapter test, which is a cross between a quiz and an adventure. In the demo being displayed, the chapter ended in a pyramid with scorpions coming after you. As the scorpions stepped on a grate, you could cast a reduction spell to shrink them and send them down the openings in the grates. Each challenge has a particular solution, and some will require you to quickly switch between types of magic. If you get stuck, the handy British narrator is there to give you hints. The demo showed the player at the mercy of a sphinx, as questions needed to be answered correctly to proceed. There’s no fear of dying in these games, and the riddles won’t trouble younger gamers that much and older gamer at all. The real appeal of Book of Spells are the tales that are told as part of the lessons, and they will give more stories from the Potterverse. They won’t change or add to the actual Potter stories, but they will be a fun bit of background for fans. When you boil it down, Book of Spells is an exceedingly simple game but the Harry Potter name alone will bring an incredible amount of attention to it. Younger fans will likely go insane over it. It won’t really appeal to older fans though, unless they are willing to put up with some very basic move-based gameplay in order to hear a bit of Potterverse backstory. But the real question for Wonderbook is how do they follow it up? How do you keep people interested in the technology after debuting with a Harry Potter-themed game created in conjunction with J.K. Rowling? 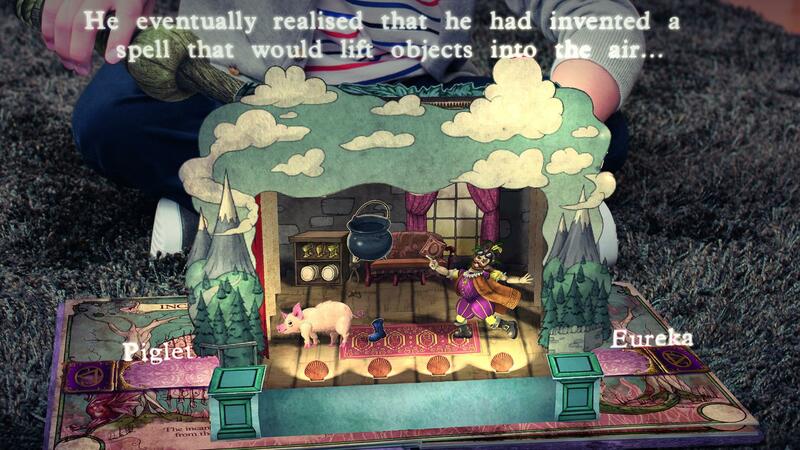 For now though, Wonderbook: Book of Spells will be a great offering for younger audiences — much younger audiences. There isn’t much to the game itself beyond the immersion fans of Potter will bring to it, and that will inevitably limit the appeal. But for those that are of the right age, this game will be a huge hit.